Holistic medicine is not New Age Medicine it is Old Age Medicine. 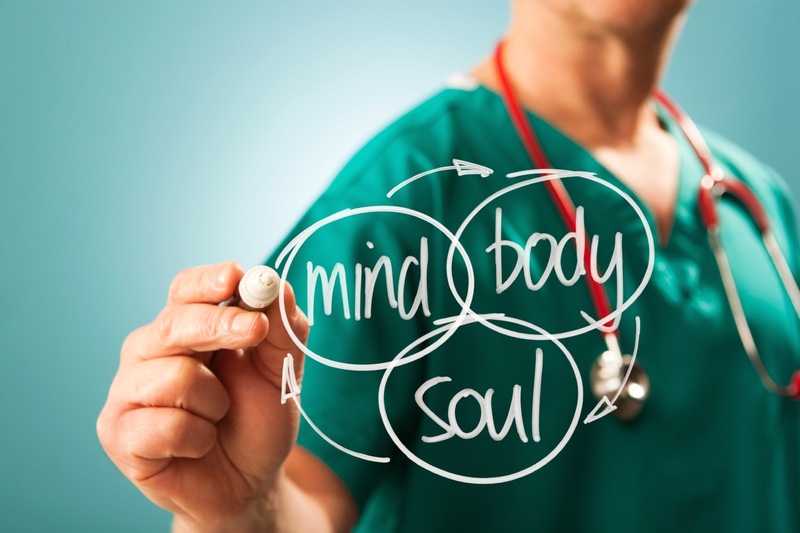 There are multiple branches of holistic medicine. 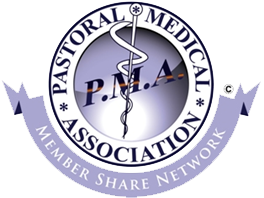 Chinese, Ayurveda, homeopathic, and chiropractic and of course people like myself that provide Pastoral Health Coaching. Samuel Hahnemann MD, a German physician did not like the way the medical field was using toxic drugs, purging people, making people vomiting and bloodletting so he coined a term that would separate his group from other doctors of the day. 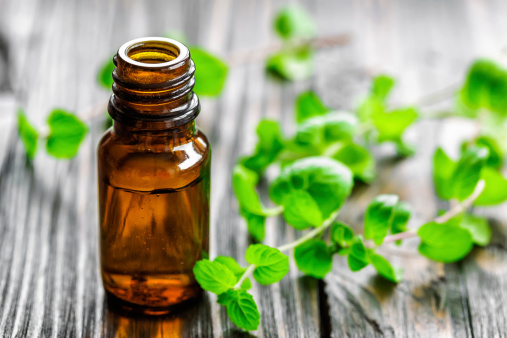 Allopathic (doctors that believed in the former) and homeopathic physicians believed in treating the client using similar non-toxic remedies. We know today there is no safe amount of mercury and holistic doctors never use mercury or toxic agents. Relax under the influence of Far Infrared, negative ions, and amethyst crystals along with the emotional clearing Truly Heal Program. It is used to alleviate all forms of muscular and joint pain, reduce high blood pressure causes, minimize pain and side effects of abnormal cells living in your body, relieves stress and fatigue and boost the immune system. According to need we increase your core temperature to provide a nice relaxing sauna to really boosting the immune system and flushing toxins from the lymphatic system. The sauna increase flow of nutrients and oxygen to soft tissues of the body and is excellent in a weight releasing program. The sauna usually takes about 20-30 minutes and really feels heavenly. Bio Mat designed with amethyst crystals in conjunction with emotional clearing was used to create the Truly Heal Program. A 20-30 minute stay in the sauna increases the flow of nutrients and oxygen to soft tissues of the body and is excellent in the weight releasing program. Perception is key but your perception is not always right. Evox is all about perception and reframing false perceptions. When you speak your voice carries energy of how you perceive or see the topic you are speaking about. The Evox records this energy and plots it on a graph called a perception index. It then evaluates the energy signatures that compliment your body’s needs and then we introduce these frequencies into your body. We use this device to help our clients with deep emotional issues that are not obvious to them. These energy patterns start with our parents and grandparents and are passed down. We see amazing results in personal relationships, improving personal performance in sports, work or school. We have seen improvement and resolution of addictions and energetic shifts in our clients thinking when they see the emotions that are driving their lives. Because of 90% of our physical issues involve trapped emotions we have seen instantaneous resolution of physical signs and symptoms that previously were not treated. If you are dealing with stress which we all are then EVOX definitely needs to be included in your schedule. It usually takes 30-45 minutes per sessions and there are no known side effect but health. Call us today! When you speak your voice carries energy of how you perceive or see what you are speaking about. The Evox records this energy and plots it on a graph called a perception index. It then evaluates the energy signatures that compliment your body’s needs and then we introduce these frequencies into your body. 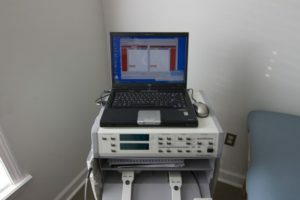 We use this device to help our clients with deep emotional issues that are not obvious to them. Energy Patterns started by our parents are passed down through generations. 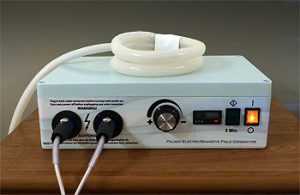 Russian technology that provides combination of infrared laser, magnetic field, ultrasound, and color LED into a coherent and non-invasive treatment. Comra therapy acts both at local level and also systemically by means of light-induced release of chemical messengers and modulation of the nervous system. The Comra stimulates the body’s own self healing capacity through the immune, endocrine, lymph and nervous system that allows the body to heal itself naturally and without the need for damaging drugs or invasive treatments. If you want to experience relaxing, healing, and regeneration at its finest then Hocatt plus is right for you. 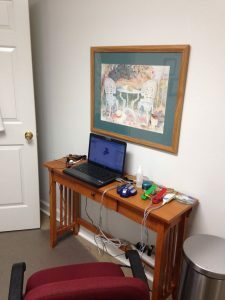 The technology is from Asia and this clinic has one of the few in the United States. 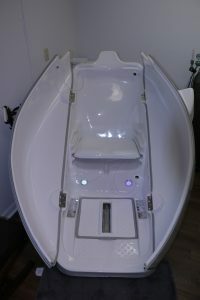 The Hocatt combines 8 different modalities to promote healing and detoxification in the fastest and easiest way. The skin is the largest organ in the entire body and its pathway must always be open to eliminate toxins. The skin is consider to be the 3rd Kidney and helps reduce the stress the liver deals with. Hocatt definitely needs to be included with any weight releasing program and helps with improving chronic digestive issues, improves impaired liver function, stiff, aching joints and muscles, respiratory issues, allergies, as well as energy and fatigue. Athletes love it because ozone in combination with hyperthermia and oxygen therapy reduces the lactic acid formed by usual exercise. Translated we increase your oxygen utilization by stressing your body with heat and carbonic acid vasodilation promoting gain without pain and improved endurance. For highly focus electromagnetic technology one must experience Ondamed. Ondamed is a German technology that involves highly focus electromagnetic field that penetrates deeply into a specific location of the body. Over 25 years of research in biophysical medical testing and therapy resulted in this technology. The session involves painless activation of energy pathways that improves cell metabolism and function. Ondamed compliments other treatments such as pharmaceutical, homeopathic, nutritional supplements and other therapeutic modalities. When people have past injuries whether it be due to physical, emotional, or spiritual it leaves scar tissue (aberrant energy patterns). When electromagnetic waves are applied one is able to find enhanced pulse waveform. It is like driving over a speed bump too fast with similar results. Your car can sustain lots of damage and if you do not treat properly holistically well you will only enhance the speed bump and cost more money in the long run. Ondamed smoothes out the speed bump that allows rapid healing from about any malady. Ondamed is without side effect and is safe and one study at the University Clinic Maastricht, the Netherlands indicated 90% of patients with different type of pain recovered within 2-12 treatments. 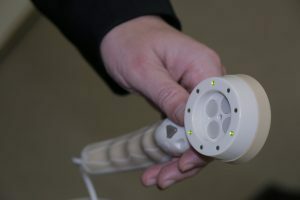 In our clinic we find this tool is invaluable to clients with difficult to treat issues or issues were there is no known treatment or the treatment is worse than the condition. My first client was a man that had been wheelchair bound secondary to severe heart and cerebrovascular disease. He had failed rehabilitation from a conventional medical standpoint. The only modality used was the ondamed and within 15 min he had improved blood flow to the brain with his face pinking up and within 45 min he was able to stand and walk the first time in 4 years. He was able to eliminate many medicines including sugar meds, blood pressure meds etc. We have seen dramatic improvement with sleep, pain syndromes, circulation issues, fatigue, skin disorders, food sensitivities, and reduction of medications because of improved health. The sessions last about 15-30min and you could experience a life transformation. Call us for more details. Electromagnetic and German Technology was combined to deeply penetrate into specific locations of the body. The session involves painless activation of energy pathways that improves cell metabolism and function. This tool is invaluable to clients with difficult to treat issues or issues were there is no known treatment or the treatment is worse than the condition. With our experience in over 3 years of using this technology we have seen expected healings and also unexpected healings. We had one client that came in with a serious problem which we focused our attention on but the side effect from one session was a rotator cuff tear that had left him with a frozen shoulder for 20 years spontaneously healed. For the first time in 20 years he was able to lift his arm with full range of motion. We have seen people with severe heart failure and could not even walk into my clinic with severe shortness of breath on maximum medical treatment. With only 4 treatments was able to run a 1/2 mile dam without shortness of breath with a 80% reduction of medicine. We have seen improvement with endurance, improved sleep, and overall much better health when including PEMF in their schedule. It only takes about 15-20 minutes per sessions and we have many packages to chose from. Many of our clients notice a different on the first treatment. Not only do professional athletes need PEMF. We all do!